Description You ran out of fuel and your ship crashed. Now, the human military forces want to capture you. 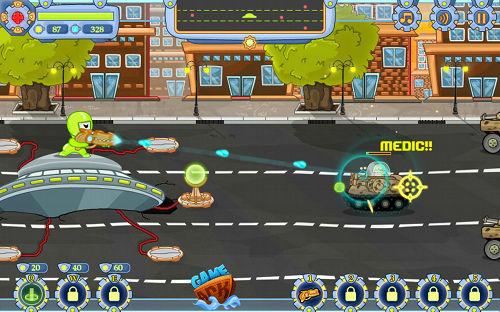 Resist all human attacks while waiting for the arrival of the mother ship that will take you back to your planet. Make the most of all your resources: mighty towers, incredible powers, deadly weapons and kill everyone that tries to capture you. Enjoy the incredible experience through 16 levels, destroy the powerful boss and beat the game in 3 difficulty modes.